This sample shows how Paris can be used to add significant value to UK Local government transaction documents like Tax bills and invoices. including additional relevant and personalized content. 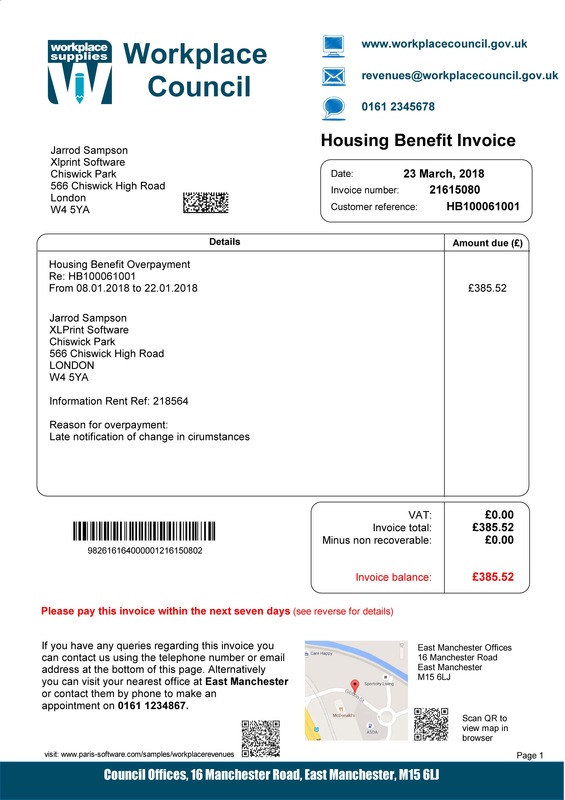 In this example, we are using a range of standard Paris features including full color graphics, modified addressing, a range of barcodes, additional data driven content and graphics, a variety of fonts, colors, lines, shapes and styles to highlight important content, boxed columns of data with automatic overflow pages and system generated data. This application has also been configured to support automatic electronic delivery and consolidation using our EDO and Pagebuffer functionality. documents and also automation of delivery to a number of delivery channels.